Birmingham City Councils Empty Home Strategy aimed to return long term empty properties back to use, and our client wished to tackle this whole building renovation to create a larger family home for their needs . To add the needed accommodation for the new family a side two storey curved bay extension was proposed, along with a single storey rear extension. This created a dedicated kitchen dining area, separate cloak room facilities, and a study area on the ground floor. The front room was retained, with the rear family room being extended with a single storey extension into the garden creating a large family living area. A traditional design was created to suit the clients tastes whilst maximising the space for their growing family. Eight months after purchasing the property our clients moved in to their new family home. Birmingham City Council's Empty Home Strategy was a success. The house was opened up to the rear of the property with concertina doors, ready to flood the new living room with light. The first floor landing was re-configured to allow a second staircase to lead to the master bedroom on the second floor and a new entrance hall was created to make a feature of the central staircase. 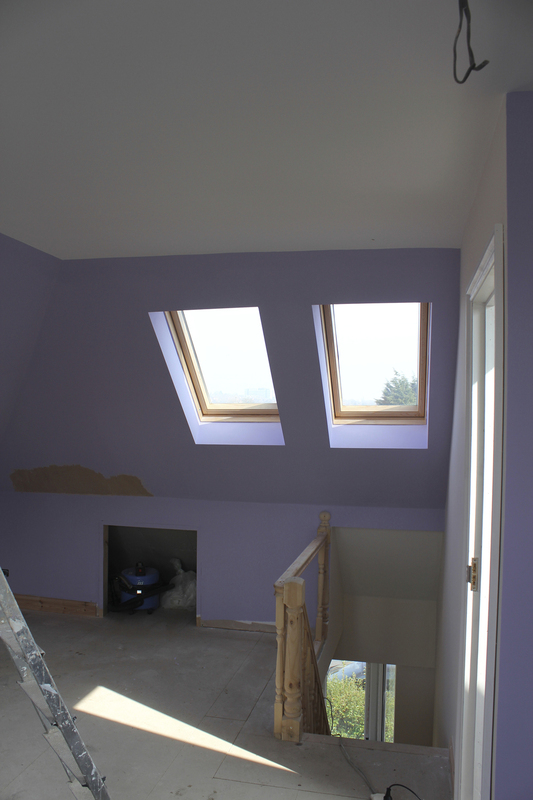 The flat roof dormer to the rear allowed for a larger master bedroom suite in the roof space. Posted on November 23, 2013 by Ben Mainwood.